Yes, Illinois drivers owe pedestrians special duties under the law because the government realizes the great dangers that vehicles pose to residents that choose to walk across the streets, sidewalks, and other areas of the state. Do Different Pedestrians Deserve Different Duties? How Are Pedestrians Normally Injured In Illinois? Still Have Questions About Illinois Pedestrian Accidents? The Illinois Legislature recognizes the grave risks cars, trucks, and vehicles present to pedestrians and requires them to exercise care in their presence. Furthermore, according to Illinois Vehicle Code 625 ILCS 5/11-1003.1, "…every driver of a vehicle shall exercise due care to avoid colliding with any pedestrian, or any personal operating a bicycle or other device propelled by human power and shall give warning by sounding the horn when necessary and shall exercise proper precaution upon observing a child or any obviously confused, incapacitated or intoxicated person." Therefore, the onus is on the driver to be careful when people are walking around. In certain situations, the law awards different duties to different people. This means that you must treat certain kinds of people with more care than you otherwise would. For instance, in the context of nursing homes, residents that are vulnerable to falls and/or bed sores deserve extra protection from these dangers from the nursing home staff. Pedestrian accidents are no exception. For instance, persons passing through crosswalks are supposed to receive extra attention from drivers, bicyclists, and others. Additionally, the law imposes duties on drivers to avoid harming children. If you know they are in the area for school, play, or other recreational activity, then you are supposed to be more careful than you ordinarily would be. 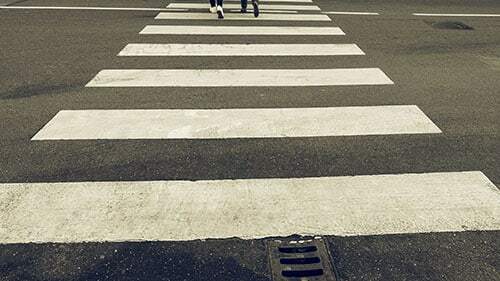 To learn about other protected classes of pedestrians, and to learn about what remedies the law provides these groups if they are injured, contact our offices. Equipment malfunctions that injure persons passing by the area. Of course, you might get hurt an entirely different way. But these are where we see most Illinois pedestrian injuries and, consequently, cases. To learn more about if your incident can be a lawsuit, give us a call. Rosenfeld Injury Lawyers LLC is dedicated to securing the most compensation possible for injured Illinois pedestrians in litigation. Like other clients we represent, we can fight for you on a contingency basis where we only charge for legal services if there is a successful recovery. Contact Rosenfeld Injury Lawyers LLC today to start the process of achieving the award that you deserve.